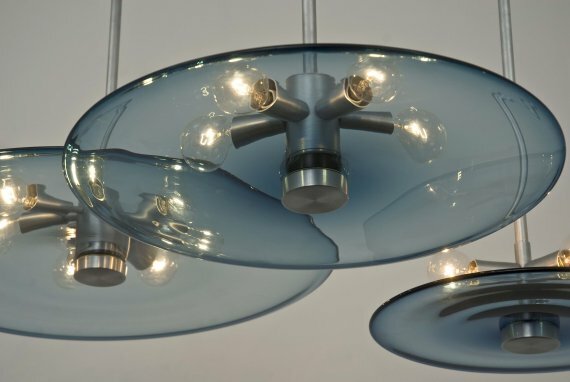 A new lighting piece from Jeffrey Goodman of JGoodDesign. 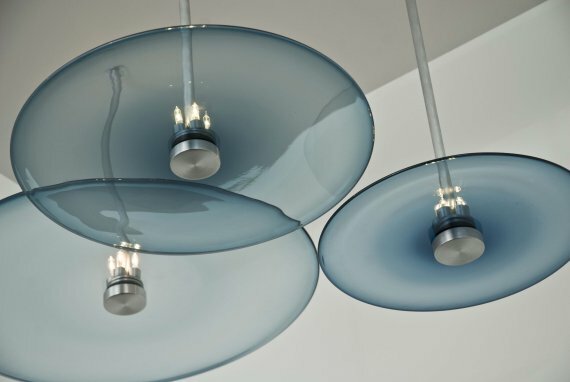 Inspired by lily pads floating in water, the Lily Pad Chandelier is organic and sculptural. 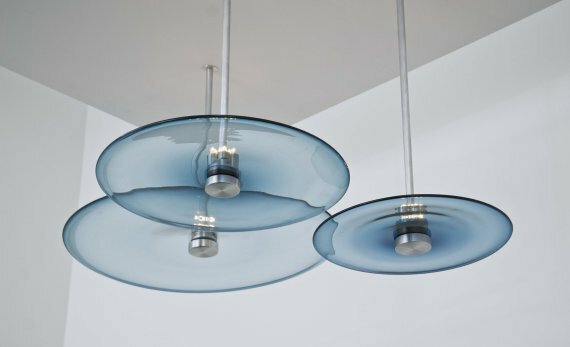 The glass is made by blowing a spherical shape and then spinning it into a flat form while it is very hot. 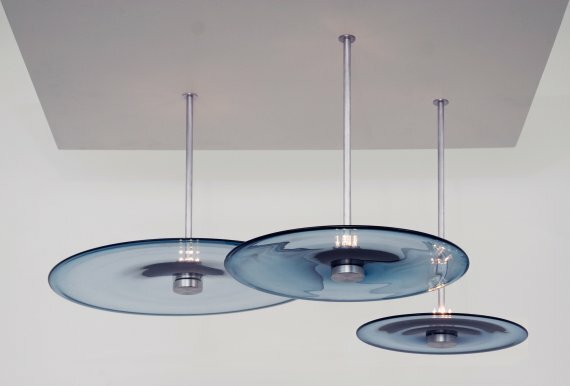 Available in various heights, diameters, colors, and finishes. 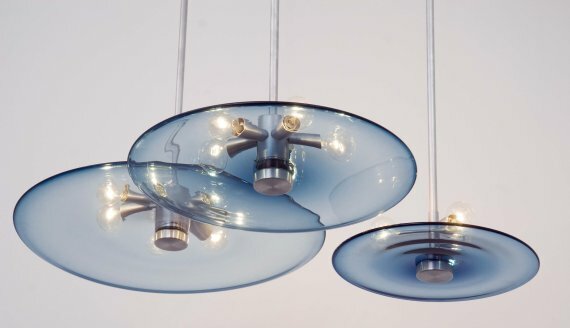 The chandeliers are hand-made in New York, each one is unique and signed by the artist. Visit the JGoodDesign website – here.